The ruling of a UK court to reject Nigerian communities' claim to hold oil giant Royal Dutch Shell accountable for oil spills at the sites of its subsidiary in the Niger River Delta "deals a blow" to all victims of oil spills worldwide, a major non-governmental human rights watchdog said Wednesday. "With this ruling the court has struck a blow not only to the Ogale and Bille communities, who live everyday with the devastating consequences of Shell oil spills, but with victims of corporate human rights abuses all over the world. This ruling sets a dangerous precedent and will make it more difficult to hold UK companies to account," Joe Westby, Amnesty International’s campaigner on business and human rights, said, commenting on the court's decision. Internal Shell documents show that the company’s headquarters have known for decades about oil pollution caused by their operations in Nigeria, and have chosen not to stop it, the campaigner said. "If Shell cannot be held to account for such well-documented abuses, what hope is there of bringing other companies to justice?" Westby wondered. The communities will take the case to the Supreme Court in a last attempt to force the company to restore the environment, he added. Individuals from villages surrounding oil production facilities occasionally drill holes in Shell Oil pipelines for the purposes of capturing oil and transporting it illegally out of Nigeria for monetary gain. Earlier on in the day, a UK court rejected the appeal of the Ogale and Bille communities against a January 2017 ruling that Royal Dutch Shell could not be held liable for the actions of its 100-percent owned Nigerian subsidiary the Shell Petroleum Development Company of Nigeria (SPDC). Initially, the two communities brought two separate legal claims against both Shell and SPDC in 2016. In 2009, Shell claimed that saboteurs from local villages, who were drilling holes in its pipelines to steal oil, were responsible for 98 percent of the company's oil spills in the country. Under Nigerian law, Shell holds no liability when spills are classified as result of sabotage. In early 2011, Amnesty International and Friends of the Earth International contested Shell's claims that up to 98 percent of all oil spills in Nigeria were due to sabotage by the locals, filing a complaint against the company in the OECD. Soon after, Shell representatives were heard by the Dutch Parliament and Shell revised its estimates down to 70 percent. 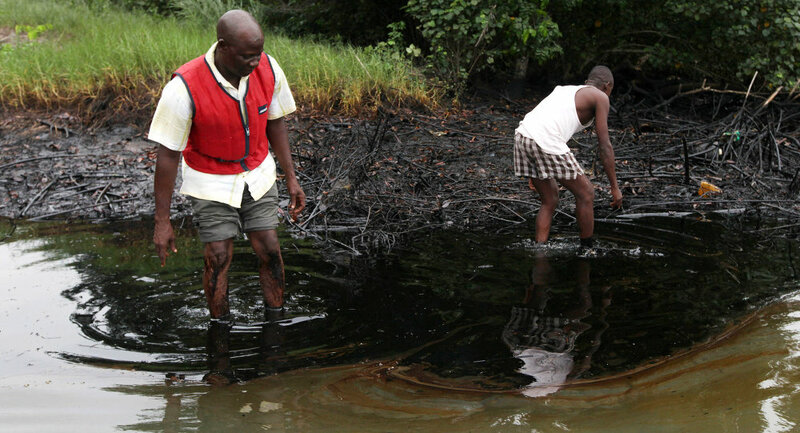 In 2013, a Dutch court ruled that Shell was liable for the pollution in the Niger Delta.